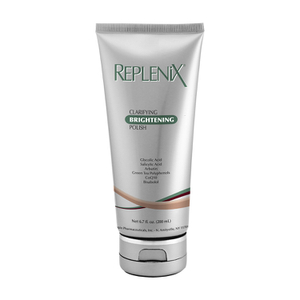 Replenix Fortified Cleanser is a gentle creamy gel cleanser fortified with potent antioxidants. The combination of vitamins A, C, and E and green tea and white tea make this cleanser a perfect addition to any anti-aging routine. 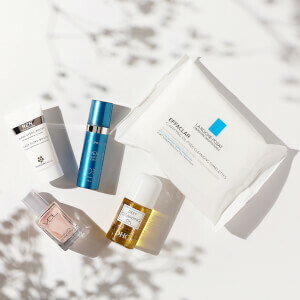 Ideal for those with mature, dry and sensitive skin types. Purified Water, Sorbitol, Ammonium Lauryl Sulfate, Cetyl Alcohol, Stearyl Alcohol, Camellia Sinensis (Green Tea) Leaf Extract, Camellia Sinensis (White Tea) Leaf Extract, Camellia Sinensis (Green Tea) Polyphenols, Phospholipids, Citrus Aurantium Dulcis (Orange) Fruit Extract, Retinyl Palmitate, Ascorbyl Palmitate, Tocopheryl Acetate, Butylene Glycol, Ascorbic Acid, Chitosan, Propyl Gallate, Superoxide Dismutase, Ubiquinone (Coenzyme Q10), Bisabolol, Sodium Benzoate, Potassium Sorbate, Phenoxyethanol, Disodium EDTA. Been using this a long time and love the enriched creamy feeling you get while cleansing the skin. This cleanser was recommended by my dermatologist many years ago. I can now see why! I had not used it for a while and then went back to using it as my gentle morning cleanser. It has not disappointed me at all. G-E-N-T-L-E, SIMPLE. I have very sensitive skin and this product cleans & makes my skin feel clean after using it. Helps with redness too. And, SkinCareRx has the best price and fantastic customer service. It's a win-win! This is a very gentle cleanser that I have used for years in combination with the other Replenix creams. I was first introduced to Replenix by my dermatologist following a Rosacea diagnosis. It is the most gentle cleaner I have ever used. After almost 20 years, it is the only product that I feel comfortable using on my face. Very gentle and leaves the skin soft and clean. Love it. I use it in the morning because it's really gentle. Will come back for it again, again and again!!! Recommend. I am loving the calming and soothing qualities of this cleanser for my rosacea and hormonal acne. It even gently removes my wash-off waterproof mascara. It's so gentle. It feels like pillowy softness on my skin. Has a creamy consistency but isn't heavy. Leaves my skin clean and soft, not dry and tight as most cleansers do. I have tried a lot of cleansers, and I like this one the best. It doesn't leave my skin feeling dry, and it is gentle on my skin. This green tea cleanser is wonderful. It is moisturizing and great for my rosacea. It was recommended by my wonderful dermatologist. My nephew who is dealing with acne also uses it.